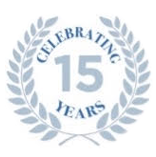 Celebrating our 10 year anniversary, Waypoint Partners, LLC is a multi-faceted consulting and special services firm with a passion for client advocacy in the field of business aviation. We provide assistance by handling a wide range of aviation related challenges through sound decision making that is based on knowledge our associates have accumulated through years of experience in the private jet industry. As business aviation has matured, it has become increasingly more complex, as well as less customer focused. Accompanying this change are constantly increasing challenges, with many unseen areas that dictate the need for risk mitigation. Overall, the style adopted by Waypoint emphasizes that of a partnering with the client team, coupled with a professionalism derived from years of formal training, real world experience and the development of successful relationships within all areas of the business aviation community. This enables Waypoint to offer its clients the benefit of cultivated relationships and knowledge that is invaluable in helping deliver a high quality service. Waypoint is composed of a group of highly experienced aviation professionals, led by industry veterans who offer clients access to their extensive experience in Boeing, Global Express, Gulfstream, Challenger, Bombardier, Falcon and Hawker aircraft types. Combined, the organization has decades of hands-on experience in the global arena of business aviation.